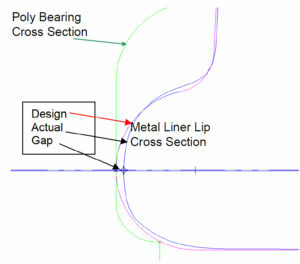 The undersize condition of Liner Lip Diameter coupled with an oversize condition on the poly bearing results in a bad fit assembly caused by nonconforming parts. 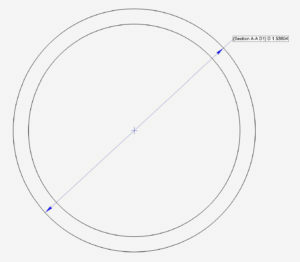 The size of this radius plays a key role in holding the liner in place in the assembly. The undersized condition of several of the dimensions relate directly to the bad fit of the liner in the assembly. 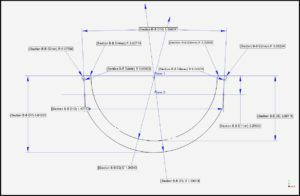 The undersized condition of several of the dimensions relate directly to the fit of the liner in the assembly. When considered together, the out of tolerance dimensions would weaken the capture mechanism between the metal liner and the poly bearing. Our professional opinion: these out of tolerance measurements caused or contributed to the metal liner escaping from the poly bearing, leading to failure. How can we Help Your Cases?